Southern Bali has a beach for everyone, from the seemingly endless stretch of biscuit coloured sand stretching from backpacker hub Kuta, through trendy Seminyak, to the golden crescent and calm sea of Jimbaran Bay, the surf enclaves and stunning beaches of the Bukit Peninsula, and the low-key, laid back Sanur, which shakes off its retiree haven tag with one of the most happening kite-surfing spots on the island. 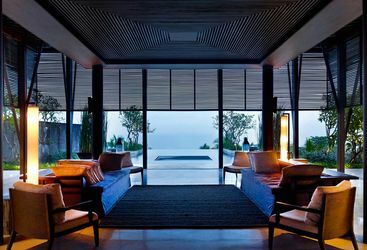 A stalwart on the luxury hotel scene is the town of Seminyak, which is home to some of the islands finest hotels and restaurants. 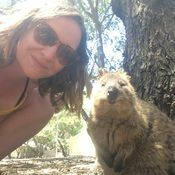 It's also the expat home of choice, many of whom run fashion and interiors boutiques, or the latest organic-clean-food-clean-living café. 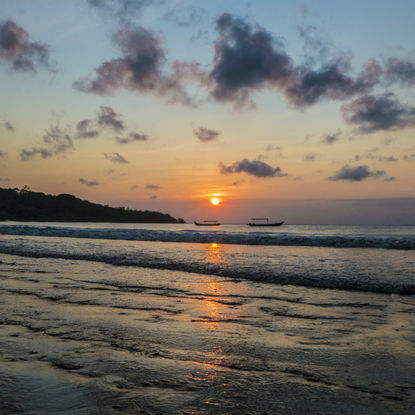 Fronted by five miles of soft sand beach and rolling waves, Seminyak hosts some of seriously fiery sunsets, best enjoyed with a chilled Bintang or Mojito in hand. And if you're a 'long walks on the beach' kind of person you'll find plenty of roaming space here, though stray too far and you'll end up in the backpacker party scene of Kuta - you'll notice as the shorts get shorter and the singlet's sparser. 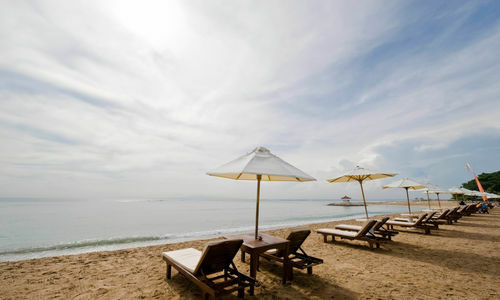 For a little more low-key beach break, the golden sand beaches of Jimbaran and Sanur are hard to beat. 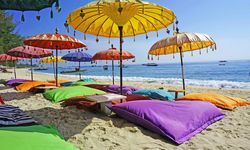 Jimbaran sits just south of the airport, meaning it's the quickest option for a flight to hotel flop, with some of our favourite hotels perched on the golden arc bay. 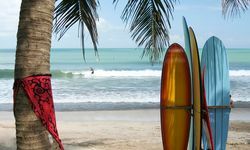 The southern end of the beach hosts the famous Jimbaran pop up seafood restaurants each evening, for a fresh-off-the-line mahi mahi to be enjoyed with greasy fingers, a chilled beer and plastic seating. 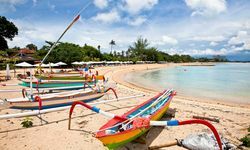 The beach at Sanur is protected by an offshore reef, so offers calm paddle-friendly water, as well as some charming boutique hotels. 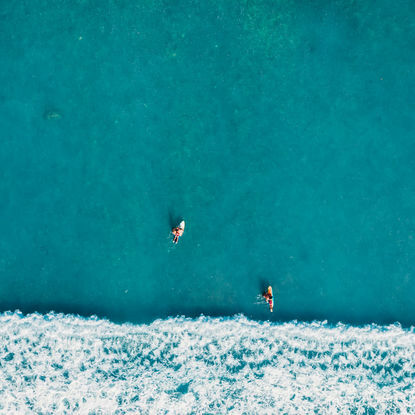 At Bali's southern tip, you'll find the Bukit Peninsula, which is home to laid-back surf spots, and some of the islands most exclusive, cliff top hotels. 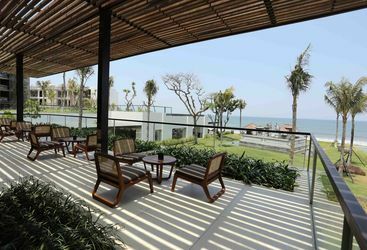 This is the spot to lock yourself away in a luxury villa, but perhaps venture out to explore some of the picturesque surf spots and powdery sand beaches by day. Perhaps. 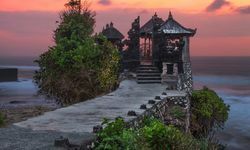 Some of Bali's most beautiful (and most visited) temples are tucked away in the South, including the cliff top Uluwatu temple, and the coastal temple of Tanah Lot, which is only accessible at low tide. It's also the spot to learn to surf, kite surf, or scuba dive with Mola Mola in our summer months. After a day relaxing on Jimbaran Bay's golden sands, pad down to the southern end of the beach as the light starts to fade. Pull up a pew at a sunset-facing restaurant perfectly positioned for panoramic ocean views. Welcome in the evening with a sizzling seafood feast, toes sunk into the sand. Under flickering candlelight, tuck into barbecued lobster and prawns grilled on charcoaled coconut husks. 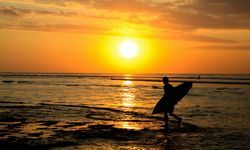 Head to the pristine Legian beach for a surfing lesson. 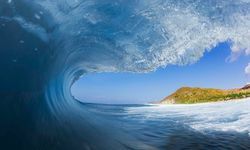 It's the perfect place for novice surfers who can ride the long leisurely waves. Meet a savvy local pro who can suss out the best swells. With a soft sand floor, gentle sea breeze and long views of a palm-fringed shore, there couldn't be a more idyllic environment to try out a new sport. 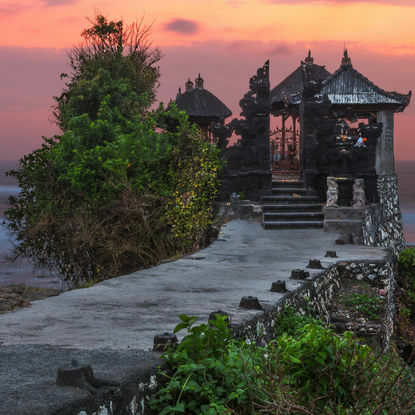 When the daylight starts to fade, make your way to the 16th century Pura Tanah Lot, one of the seven sea temples dotted along Bali's coast. Arguably the most picturesque, its water-facing shrine is perfectly perched on a rocky outcrop sculpted from years of crashing waves. When the tide recedes, walk across the ocean floor to the base of this photogenic temple and lap up golden hour like never before. My highlight: Indulging in fresh off-the-line seafood at the pop up Jimbaran Bay seafood restaurants, with my toes in the sand, and a cool beer in hand.